This week we bring you a discussion about the Volturi, and even discuss the music Stephenie listens to! Kassie and I had so much fun playing the villains in this picture! 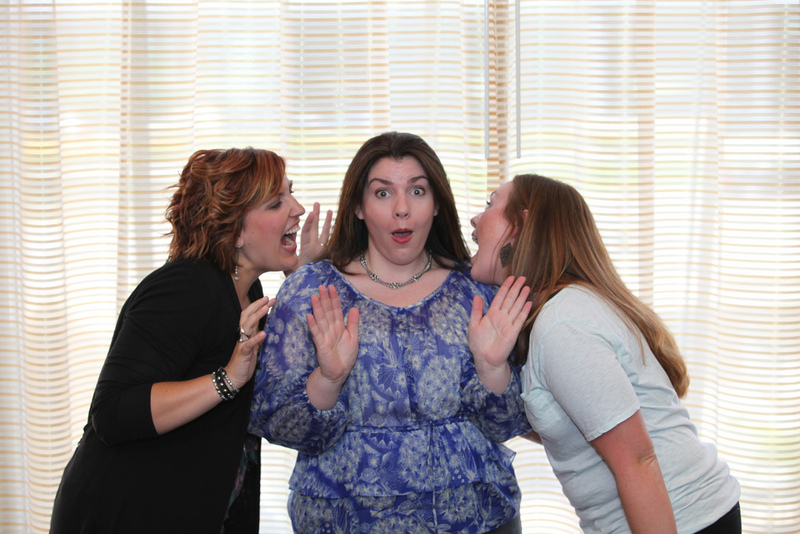 How cool is it that Stephenie let us pretend to bite her?!?! Elysa: What I like so much is that you can’t…there’s a great sense of ambiguity there in a lot of ways. They’re clearly the enemy and you’re clearly afraid of them but there’s a sort of reverence as well and especially because, in some ways as humans, you have to kind of respect a little bit that they prevent things, like Seattle, from happening all the time. So I love them for that reason, also because I think a lot of villains, whether it’sHarry Potter or Star Wars and other big franchises, you can tell by looking at them you know what I mean? SM: Monsters. They look ugly. Zombies coming at you. Meghan: For the rest of your life. SM: It’s not out yet. It’s by Isaac Marion, and it’ll change zombies for you forever. Matt: Is it a series? Meghan: It’s a stand-alone. He has a website and he has up some of his other stuff. Plug for Isaac! SM: I mean it’s funny because I always use zombies as an example like how monsters you’re supposed to be able to look at…And see that’s…I find it so much more frightening when you can’t tell. You know because it’s like I never really got scared over monster movies and I found I didn’t watch a lot of horror, the ones that scared me were like psycho because he looks like a nice guy and that’s when you don’t know. And that’s the scary thing because you walk out of your house and there isn’t a dinosaur about to eat you but there is a guy right over there and what if he’s a psychopath? And I’ve always been fascinated with appearances because evil doesn’t appear evil, it doesn’t. It’s clean and shiny and pretty. The Volturi are kind of, they’re villains that got to have 3,000 years to refine themselves into [this] perfect powerful presence, and they’re fun. It’s fun to show vampires at the very pinnacle of that power, although they’re not really at the…They are very dark but you know you have a whole different kind. You kind of figure with vampires the whole, like the more wild and blood-thirsty, but this is just such a controlling and patient kind of evil. Elysa: That’s what creeps me out! SM: The patience is…Well and one thing, Aro in particular, the really really darkest thing for me about him is that he can honestly love someone and still kill them if it gets in his way; like his sister who he honestly loved, who was like the most important person in his world, but she got in the way of his ambition and he could kill her and grieve her but grieve over what he had done but still do it because that was okay to him in his world. And when you can do that, when you can cross that line—shivers. Matt: Do you have a question? Elysa: No, I just wanted to fangirl a bit. SM: You know who you should read? My favorite villains, like the scariest villains I’ve ever read, have any of you read Neverwhere by Neil Gaiman? [Croup] and [Vandemar], Oh. My. Gosh! Elysa: What’s the name of this? SM: It’s called Neverwhere, and it’s by Neil Gaiman, who’s one of my favorite like geniuses, and he has these bad guys [Croup] and [Vandemar], I’ve never read anyone so terrifying in my life. They’re so good. So good! Elysa: Maybe there is a question to be salvaged from all of this. Did you always know the Volturi went to visit Victoria before? SM: Yes, because in the story, when Alice has the vision, they give her four days and I always knew that there was an impetus that they had met up that she had to make a decision because Victoria’s would’ve been to be like: “Now. Let’s go.” You know? No thought. That’s how she was planning to roll. Get them ready kind of get there and they’re like now we run and so that they have maybe, at most, an hour to get to her. Four days was really an exorbitant amount of time and that was the Volturi’s fault because Jane was tired of waiting and so she went and said, “You have to do something already.” Victoria was making a huge mess. Elysa: I think you might’ve touched on this before a little bit earlier, but you said that sometimes Jane does act on her own a little bit. Kallie: Go ahead! That was what we were gonna ask so that’s good. Matt: We have a while. Elysa: Okay. Does…I always was under the impression that Jane hated Bella more than anyone and then we read Bree and apparently she really hates Alice . SM: Well think about it, Aro this whole time…Aro is the one person of significance in her life, besides Alec, but Aro is the one that she always wants to be the favorite of. Matt: Like the new baby. SM: Alice is a problem for her, a big problem. You know that when it came down to the fight if… Jane would’ve been hopeful that Alice would’ve gone out. And you know, how frustrating Aro gets there and Alice isn’t there and it’s like: “Oh crap.” And Jane’s sitting there like: “She’s not gonna die?” And Aro knows exactly how she feels and he’s able to play that to his benefit ‘cause he’s sick! SM: We kicked around a lot of names with that, right? And Michael Sheen was Chris’ [Weitz] choice and you know I hadn’t…Frost/Nixon? He’s a great actor but I couldn’t see him in it. Fansite: Oh Lucian, so hot! SM: It was like acting class to watch him go in there. Every single take he did something different, he did a slightly different thing. Always, of course, lines perfect. He would never [make a] mistake but he gave them something different for the director to pull from and he’s so great. He’s a really interesting guy. He’s so much fun to talk to. SM: And I hate that Jamie Campbell Bower did not get as many lines he had originally. SM: ‘Cause he is chilling. SM: He actually tried out for Demetri. SM: And he was too scary for Demetri, we were watching it. There was another guy that…You know Demetri is supposed to be, Charlie [Bewley] was sort of the in between, Demetri is supposed to be smoother and like kind of calm people down, but then of course movie people don’t want to ever have somebody that’s a peacemaker they want all the tension. So Charlie was scary, but not as scary as Jamie. Jamie was chilling and then his face takes the makeup like nobody else, he has no pores! His face is perfect. And he looked, you know he got in the makeup and every line he delivered had so much weight and you’re just like: “More. More please.” Caius needs a story. We need to see more of it. A whole thing with him and Michael Sheen just let’s go! Well Marcus too, who also… Chris [Heyerdahl] just creepy. He just did this thing where he sounded like he had 500 years of dust in his throat. It was crazy. Kallie: Okay, I have a question about music. Kallie: One of the things that I loved most, even before the movies came out, was going to your website and playing the playlists while I read and so now that we’ve got these movies and these soundtracks, are there any songs from the soundtracks that you think, “Oh that would’ve been really good on my playlist”? SM: Um, I’m trying to think. Right now the song from The Dead Weather, it’s, cover your ears, it’s in the scene with Victoria talking to Riley and it’s like her theme. SM: Okay you’re good. You’re good. It’s like her theme song, like the tone of it, not the words so much, but the beat and the sound that just…I really liked how that worked. And you know obviously the prom song from Twilight was…just became so iconic. Fansite: Every time I hear it I just feel like crying. SM: Yeah. I mean, there are some great…And [the] Thom Yorke song from New Moon. Fansites: Oh I love that. SM: It was the pinnacle of the music in the movies for me, and that’s how Chris’ mind works. Like he could see that this could be an action sequence song. We saw that with…We had a premiere in Arizona , I do it with my friends sometimes, and we had a band come and perform and they hadn’t seen the movie before either and they came up. All they could talk about was that song. It blew their minds how that worked. And that was cool. So there are obviously songs, but most of the songs, like the lyrics from them and I’m a very lyric and music [person] I have to have both, and a lot of these, in the movies it’s a lot more about the sound, except for Lykke Li’s “Possibility” song which is killer where that was put in, and so some of the songs it’s more about the tone in the movies and then when you deconstruct them it doesn’t work as well with the books. So I don’t know that I would do too many replacements. Kallie: But it’s nice to hear the ones that you love so much ‘cause it’s one of those things that…you’re a music person. Matt: What was the song? SM: Um, I’m a big fan of the band Meese, and they did a song for the movie specifically so it’s not released but I think they will release it, and I wanted it for the end because it had this lightness to it. All through the movie you kind of…and then that end you need a song that picks you up, and the Metric song is really good there, but we love this song. SM: It fits really good and it’s beautiful, and I really liked how it turned out but before we’d heard that, we didn’t hear that song till very near the end it was one of the last things we heard, and we were really fighting for that song [to be placed] just anywhere ‘cause it had this feeling of like, you know it’s so complicated with Bella and Edward there’s a lot of downer things but when the two of them are together and it’s just the two of them there should be a happiness to it, and this song has a happy sound and it’s just light and we really loved it. Shout out! I love Meese, they’re great. You guys are all getting a Meese CD today, just fyi. SM: I put some of my new favorites in the bag so you’re getting Meese and Dan Mangan, that CD I cannot stop listening to, and then Sleigh Bells, which is really good for like working out, right? And then what was the fourth one we put in? Meghan: Florence and the Machine. SM: Florence and the Machine. They have one of the best songs on the soundtrack. “Heavy” it kills me it’s so good. Fansite: And then Sia right after that, we were just talking about how that transition between those two songs is awesome. Kallie: I love the music. Fansites: The Beck song is great. Kallie: I’m kinda, when you…I think I connected even more with the books when I was on your website and saw Muse on it ‘cause I was like: “Aw, this takes me back to high school.” ‘Cause I’m not…not necessarily all of their music [does that] but that’s when they were writing a lot of really good stuff and it’s kind of funny that they’re so popular now ‘cause they were out back then. SM: When I first heard them like nobody had heard about them. The thing that for me that fits with the way I write and the way that they’re music strikes me, I guess, is that they are so…they’re not cynical about it. They throw themselves into it. They live that emotion and there’s no sense of like: “I’m gonna hold back and be a little sarcastic” or whatever. They just [put] pure emotion into the songs whatever it is. It’s the end of the world? It’s the end of the world! Like they don’t…They take it seriously, and when I write I don’t like to be cynical I want to just feel the emotions and so their songs work really well for me that way. Fansite: Do you like Rush? SM: I haven’t listened to a lot of Rush. I should. Fansite: ‘Cause they’re literally [this part is inaudible]. SM: See I have a weird…my musical…I didn’t listen to a lot of music in high school, which is what most people do, and so I really got into music more in college and then even more, more and more as I got older which is kind of a weird way to do it. So a lot of the music that I really love is stuff that came out in the last ten years. I have a limited background. Yes, I Would LOVE To Talk To Stephenie On An Interview, I Have So many Questions That Never Get Asked!! Michael Sheen is AMAZING as Aro!! I am so glad that CW cast him. I kind of wish Aro was in EC just so MS could come back. One reason I am looking forward to BD is so that he will be back! The Volturi are some pretty cool bad guys. I like how they’re not like your typical bad guys. Si named my dog after Aro’s sister Didyme! This was about a year ago now but her power was to bring joy and happiness to even the Volturi lair and my parents had just gotten a divorce and stuff so it was fitting but yeah… my dog is named after an insanely obscure Twilight character! Log in | 59 queries. 0.911 seconds.